Co-Op Critics is gaming podcast where we focus on a game or an aspect of the hobby as a topic for in-depth discussion. 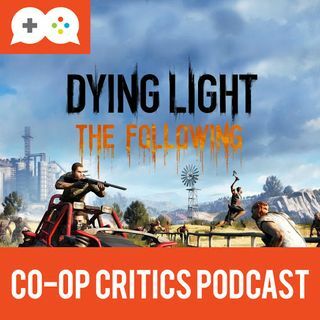 In the latest episode of the Co-Op Critics podcast, Brian and Nick discuss our game of the month, Dying Light: The Following, look at some of April's releases, and unveil our new gaming channel, Let's Play Quietly. You can check out the new channel at tinyurl.com/LPQ-ASMR. Check out co-opcritics.com for more games discussion.